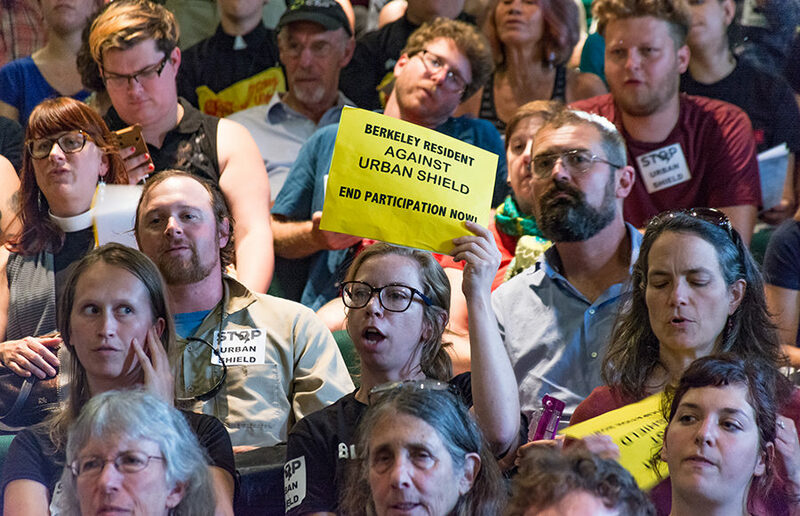 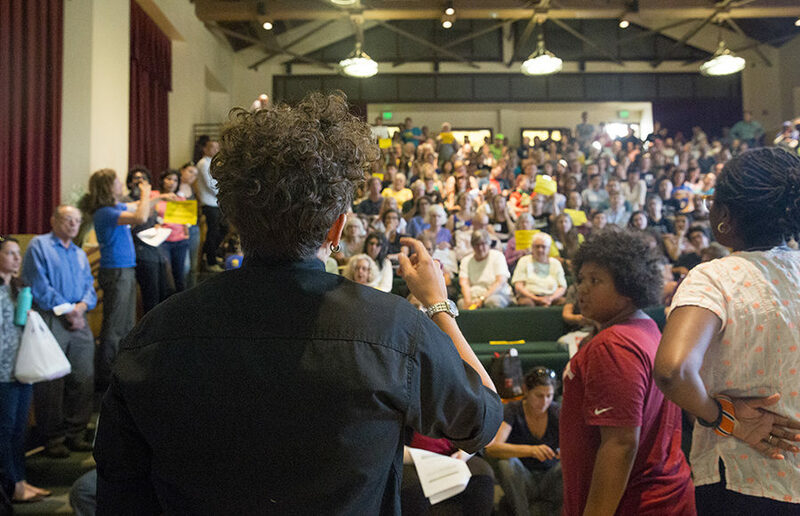 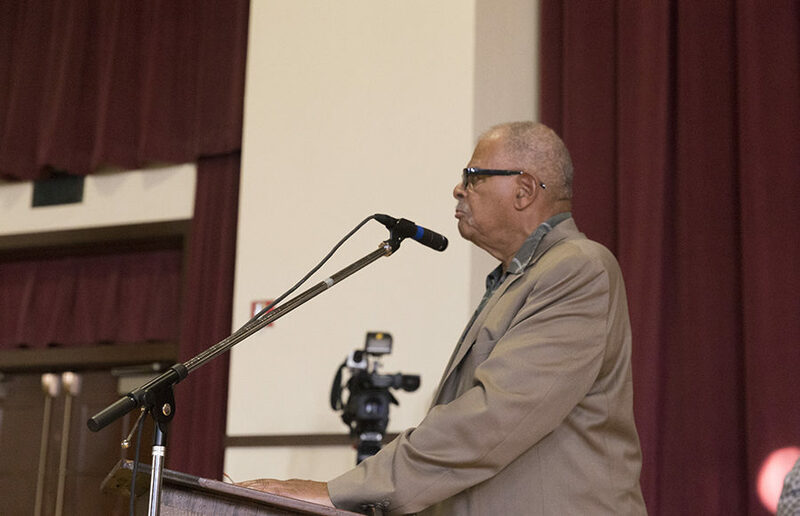 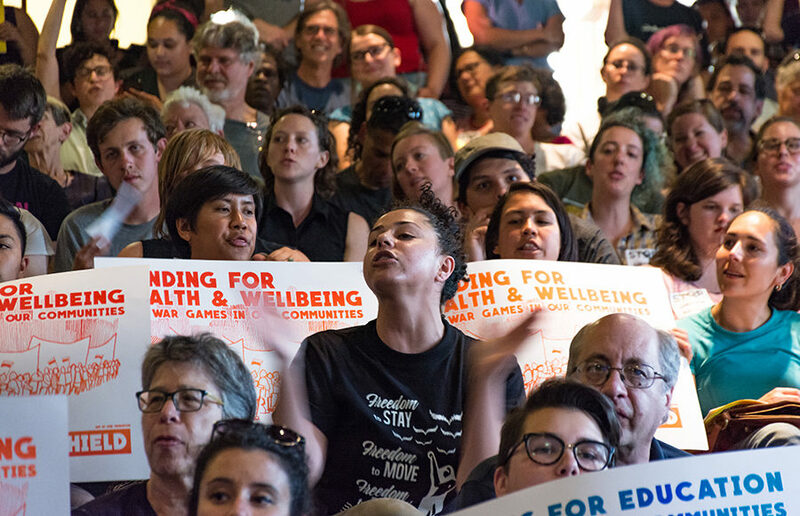 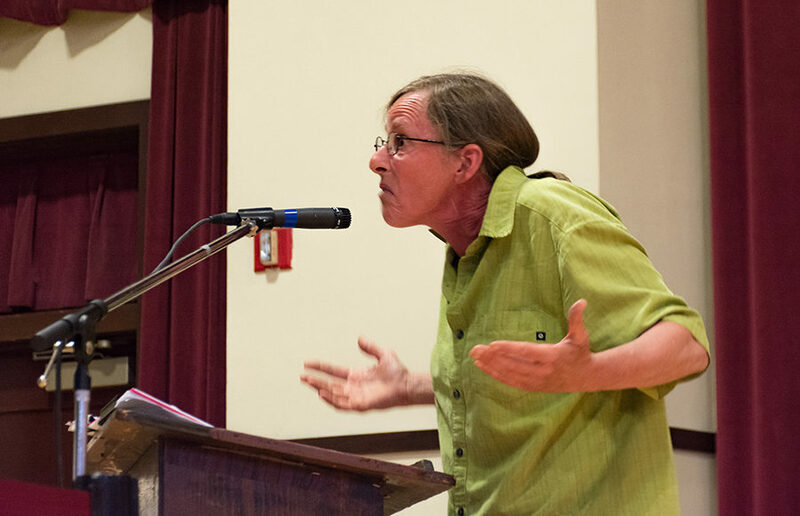 On June 21 at Longfellow Middle School, the Berkeley community gathered to express their opposition to the Urban Shield police training program. 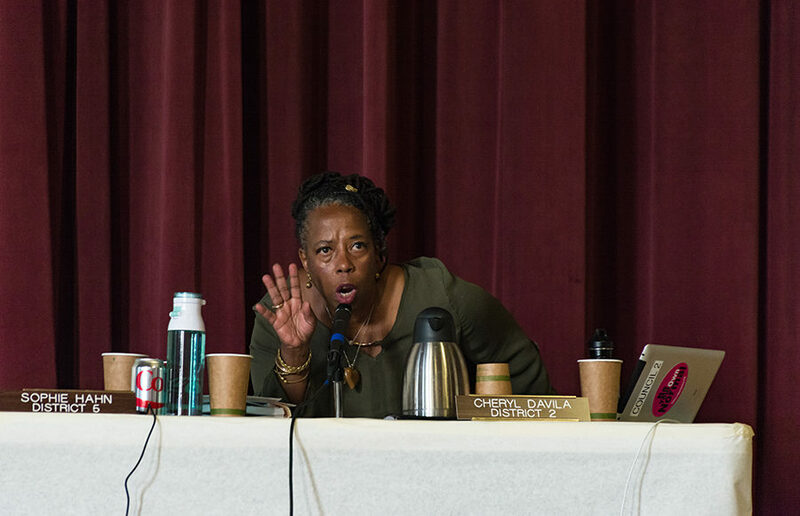 For almost four hours, community members spoke out almost unanimously against the program with the exception of few public commenters. 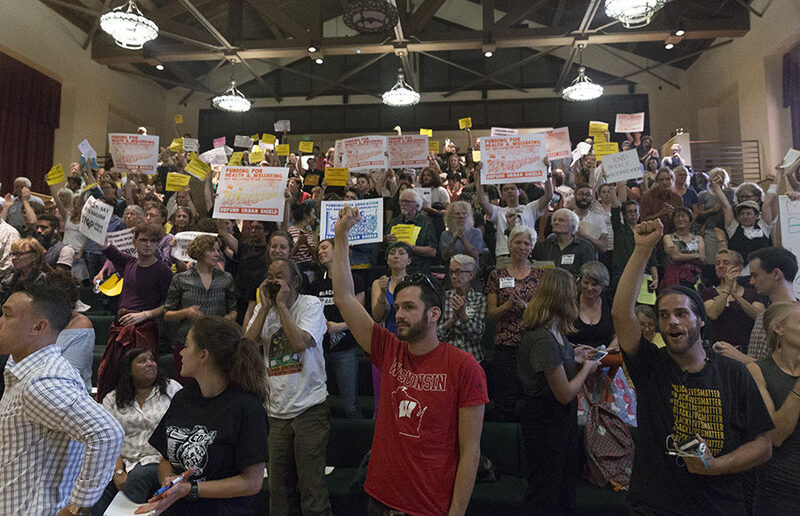 At the end of the meeting, City Council voted as follows: six voted to keep Berkeley in the program, two voted against and one abstained.